Antoni Gawrylkiewicz, a youthful 18-year-old village shepherd, saved a group of Jews almost equal to his age, 16 people, belonging to three Jewish families – Kabacznik, Solominansky and Sonenson – over a period of two years, from May 1942 to July 1944. As told by Haifa resident Yitzhak Sonenson and his New York-based sister, Prof. Yaffa Eliach (a noted Holocaust scholar), the-then respectively 10 and 6 year-old brother and sister witnessed a harrowing German liquidation raid in Eishyshok (today in Belarus), on the eve of Rosh Hashana 1941, which claimed the lives of thousands of Jews. The two siblings, together with their parents, Moshe and Zipporah, and their baby brother Shaul, miraculously survived this "action," then fled to the Radyn ghetto. On May 10, 1942, the Nazis staged a large-scale action, during which thousands of Jews were led out of the ghetto to the ancient Jewish cemetery, where the famed religious scholar Hafetz Hayyim is also buried, and murdered. The Sonensons again miraculously survived by hiding with other Jews in the attic of a house. However, the little Shaul had to be smothered to death when he began to weep, to avoid the disclosure of the 22 Jews in hiding. After this horrendous experience, Moshe Sonenson contacted Kazimierz Korkucz, in the nearby village of Korkuciany, who lived in an isolated large farm house with his mother, and who agreed to hide the Sonensons (and eventually the other two families) near his house and other localities. Antoni Gawrylkiewicz was a youthful shepherd employed by Korkucz. "To him," states Yitzhak, "we all owe our lives," for he was the person most intimately involved with the care of the 16 Jews in hiding, including digging underground shelters, preparing food, removing bodily wasters, transfer from one locality to another, and no-less - warning them of approaching danger, not only from the Germans, but also from antisemitic elements of the Polish underground who operated in the area. In the words of Prof. Eliach: "Countless times he would open the entrance to our pit and throw in food during the most dangerous circumstances." 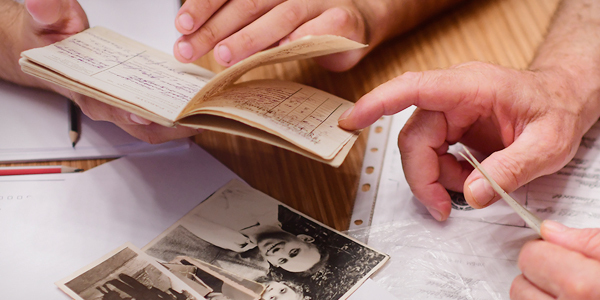 When Zipporah Sonenson gave birth to a baby boy, named Hayyim, while in hiding in a stable in June 1944, Antony quickly placed him in a basket and brought him together with his father and others to a Christian family for safekeeping. As the danger of detection increased, Antoni moved his wards to a new shelter, in the village of Lebednik, leading them at night over a 5 kilometer stretch. Suspected of hiding Jews, Antoni was apprehended by a Polish underground unit, and sustained severe beatings for refusing to disclose the presence of the hidden Jews. As a result, he remained bedridden for days, recovering from his wounds. Gawrylkiewicz also helped other Jews who came to at night begging for food, and he would share with them the food he had brought for himself while tending his herd. Travails for the rescued persons did not stop with liberation, for Yaffa's mother and baby-brother Hayyim were murdered by members of a Polish underground unit in their grandmother's house in Eishyshok. Yaffa Eliach sadly comments: "Unfortunately, Antoni was not there to save us." In 1973, the Righteous title was awarded to Kazimierz Kokucz, who also played a leading role in the rescue operation, but Antoni Gawrylkiewicz was overlooked due to lack of contact with him. 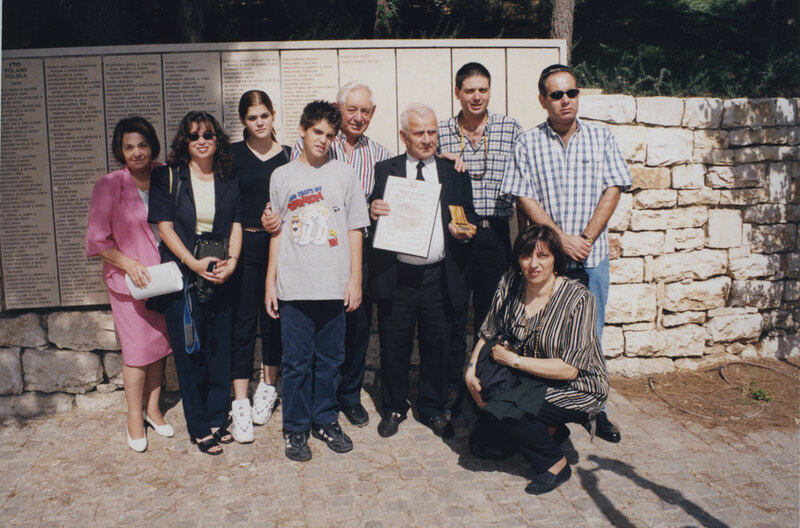 After contact was recently renewed with him, during a momentous meeting between the Sonensons and their rescuer in Vilnius, Yitzak Sonenson and Yaffa Eliach submitted testimonies to Yad Vashem, and Antoni Gawrylkiewicz, who now lives in Plock, Poland, was awarded the Righteous title in July 1999. 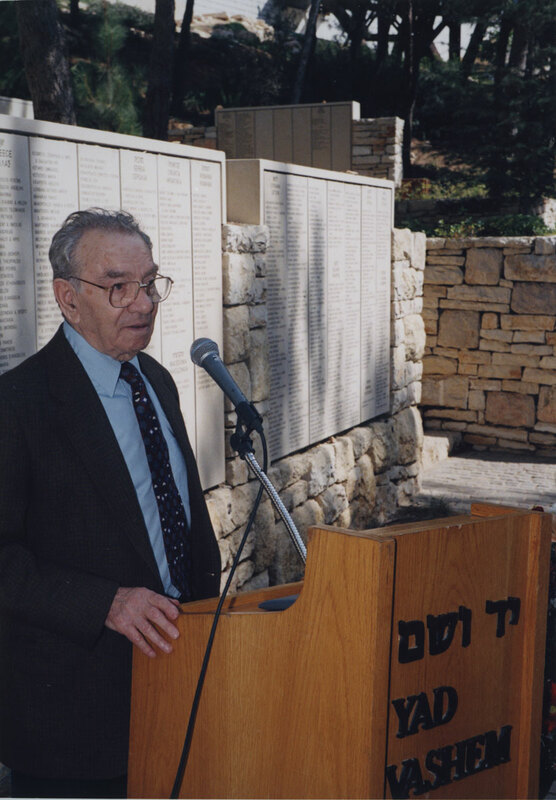 "Antoni is a wonderful person," Professor Eliach underlines in her testimony to Yad Vashem. "He taught me many things during moments of reprieve and shared with me beautiful stories about animals and nice people. He always promised me that he would save me and everybody else." He, indeed, kept his word!